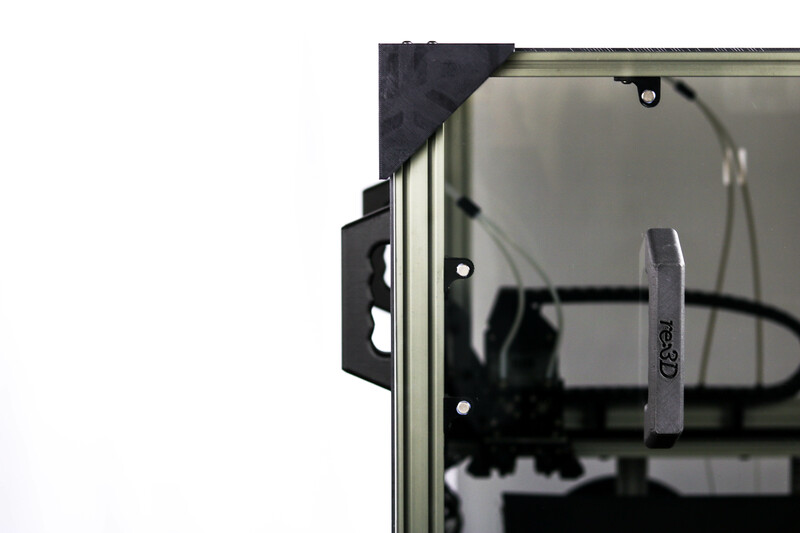 Introducing Gigabox, a full enclosure for your Gigabot 3D printer. Gigabox is designed to elevate and stabilize the ambient printing temperature of your Gigabot, allowing for large-scale, high-quality printing in high-temperature materials like ABS, nylon, and polycarbonate. 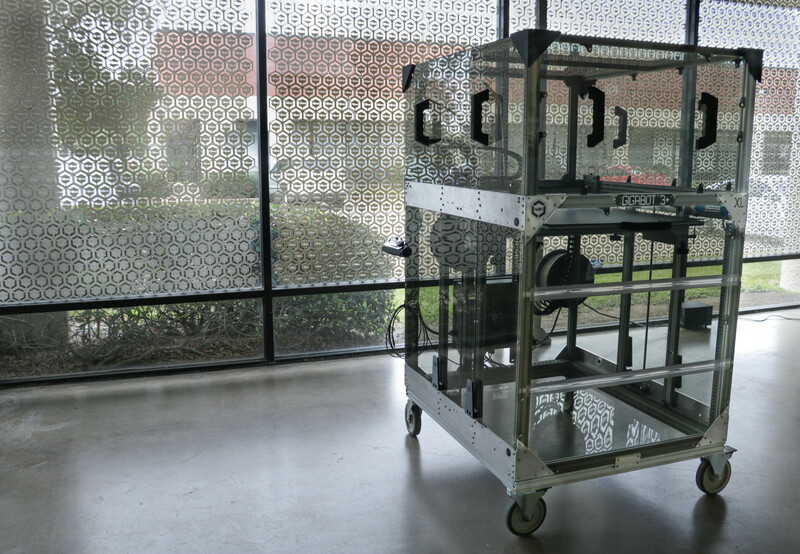 Your Gigabox enclosure also serves to protect your Gigabot from the dust and dirt so that it feels just at home on the factory floor as the office environment. Constructed of transparent, shatter-resistant polycarbonate, Gigabox allows your bot to reach an internal temperature of up to 60°C. Three removable hood panels allow for easy access to the top of the machine, with polycarbonate printed holders at the base of the enclosure to store the hood side panels when not in use. The large front panel is fitted with plastic living hinges which allow it to fold down for convenient access to the interior. 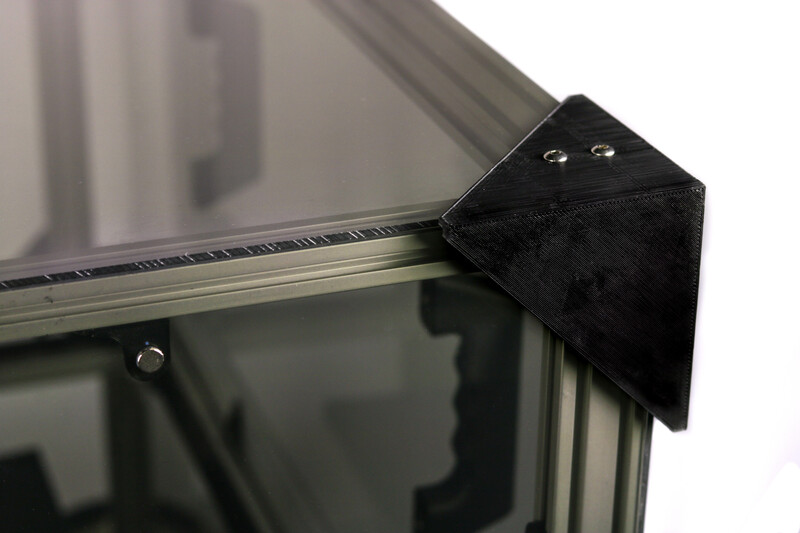 Polycarbonate printed handles allow for easy maneuvering of panels, and sixty-four neodymium magnets snap and hold them securely into place. 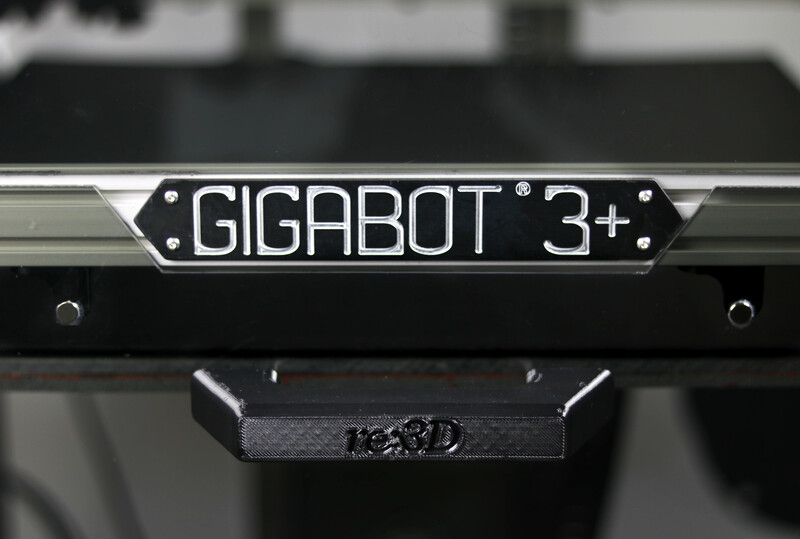 Gigabox can be installed onto the GB3+ as well as the previous-generation GB3. We recommend setting aside at least four to eight hours to complete the installation. 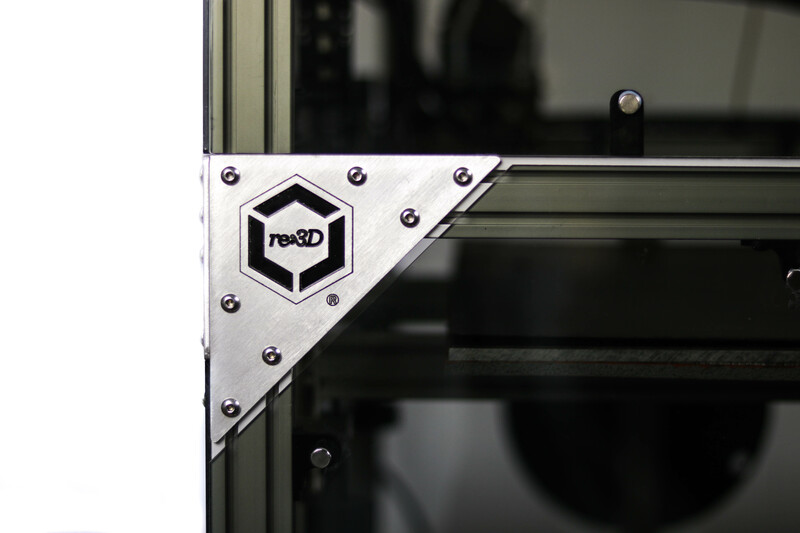 Order now in our online store or email sales@re3d.org for a quote.